Dr. Yeh joined the faculty in 2002, after his Gastrointestinal and Hepatic Pathology Fellowship training at Yale University. He specializes in liver, gastrointestinal, and pancreatic pathology. His research interests are in liver tumors, nonalcoholic fatty liver disease, liver transplantation and viral hepatitis. He has authored over 150 peer-reviewed manuscripts and many review articles and book chapters in these fields. Dr. Yeh is also the author of the AFIP Liver Tumor Fascicle, 4th series. Recently he is particularly interested in the investigation of fatty liver contributing to liver cancer. 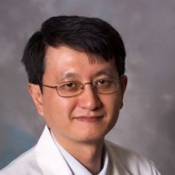 Dr. Yeh serves on the editorial board of several pathology and gastroenterology/hepatology journals. In the past he had served as the President of the Hans Popper Hepatopathology Society and President of the Pacific Northwest Society of Pathology. Besides teaching the medical students, residents and fellows at the University of Washington, he also actively delivers lectures in liver and gastrointestinal diseases at national and international conferences. Dr. Yeh also directs the training of the Gastrointestinal and Hepatic Pathology Fellowship Program. Fellowship in Gastrointestinal/Hepatic Pathology, Yale University, New Haven, CT.
Residency in Anatomic and Clinical Pathology, George Washington University, Washington, DC. PhD, Cell and Molecular Biology, University of Pennsylvania, Philadelphia. Medical Degree, National Taiwan University School of Medicine, Taipei, Taiwan.